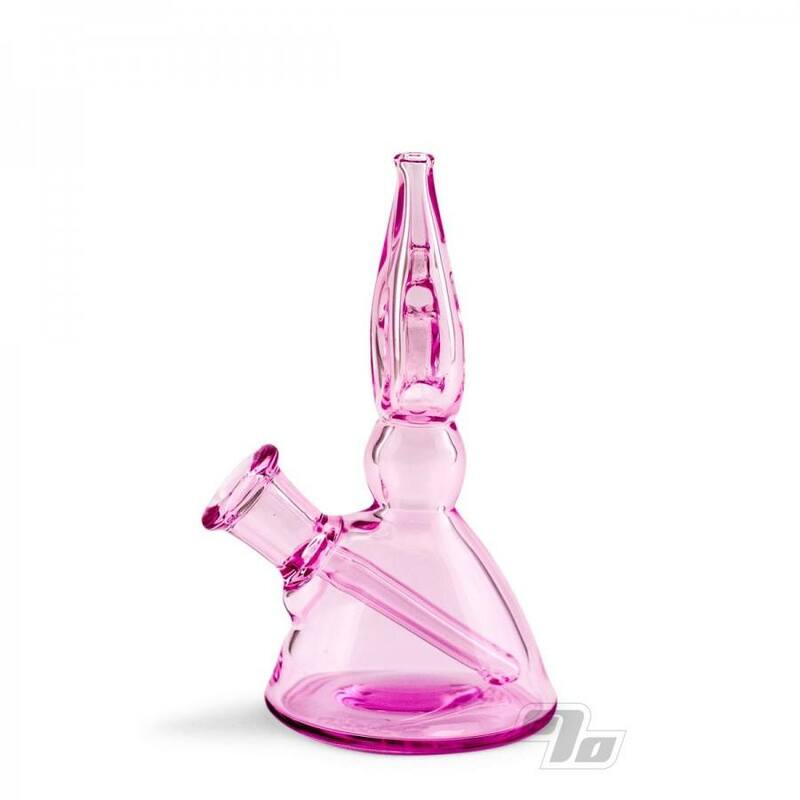 The latest design from MTP Glass has to be one of the cutest little rigs you've ever seen; Alpha Sprouts made in NYC. 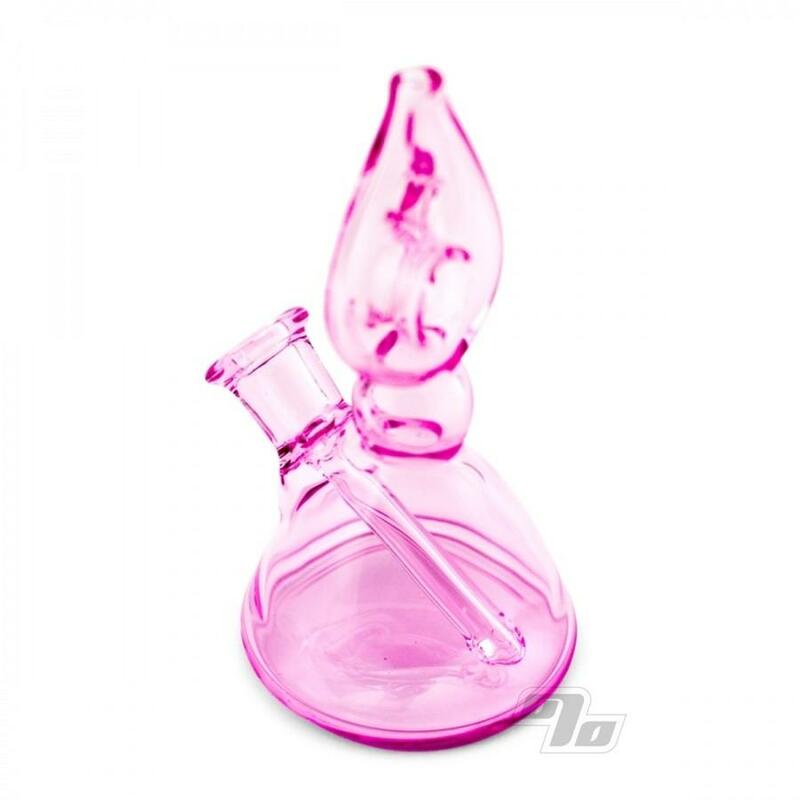 This one is in a translucent pink glass. This fully functional piece measures up at approx 4.5 inches tall, 2.75 inches wide and about 2.25in deep at the base. 10mm female joint for your favorite quartz banger or domeless setup. 2 hole fixed diffy. Perfectly matched with his new Terpots dabber/caps.